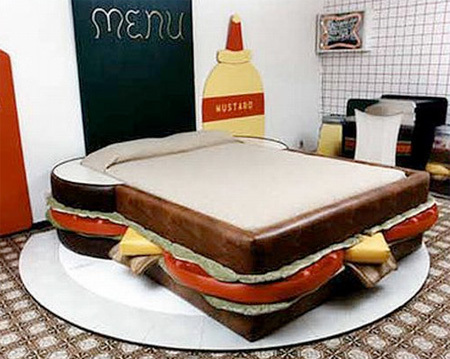 Unusual and creative beds that will make a great addition to any bedroom. 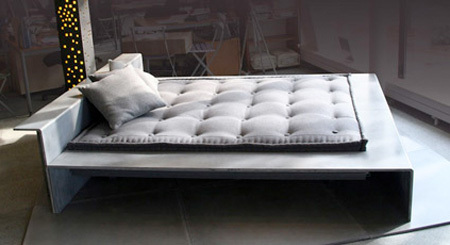 Stylish modern bed made out of concrete by Francesco Passaniti. 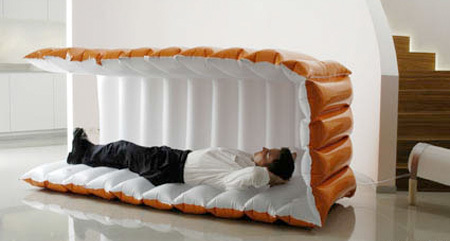 Nappak inflatable bed folds into a small tube when not in use. 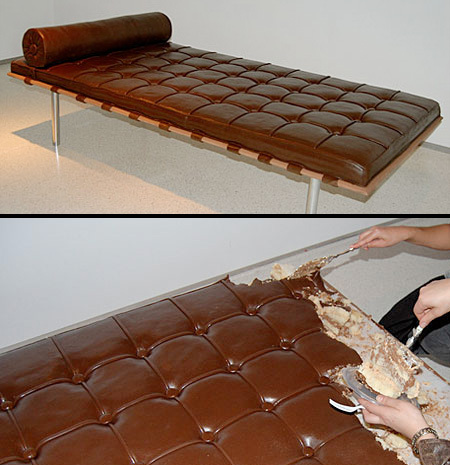 Creative bed made out of chocolate cakes by Leandro Erlich. Wooden bed made of bamboo will create peaceful and tropical atmosphere in any bedroom. 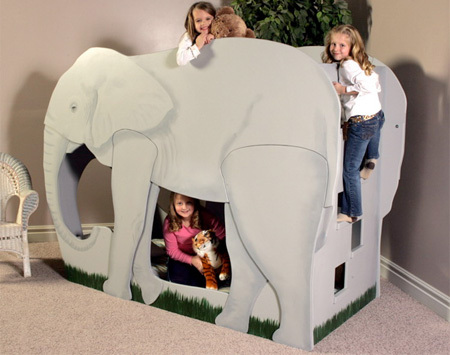 Creative bunk bed designed to look like a cute elephant. Modern bed with integrated dresser has plenty of storage space. 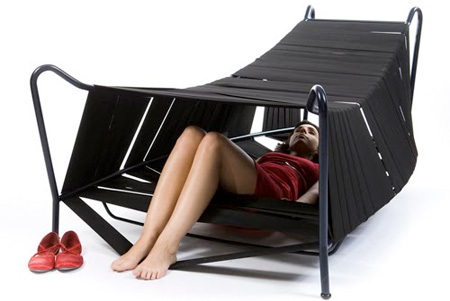 Unusual private furniture created by Noga Berman can be used for lying down or for storage of bed sheets and blankets. 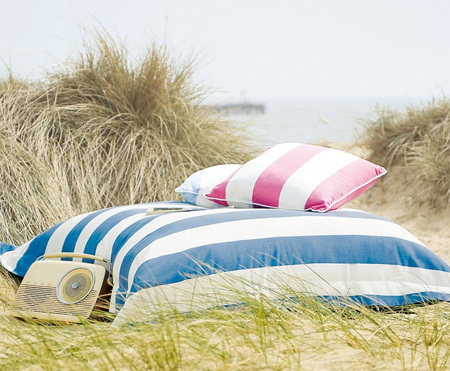 Giant pillow made from waterproof fabric cab be used as a bed. 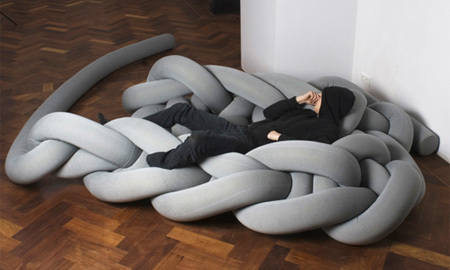 Creative bed made out of giant threads by Bauke Knottnerus. 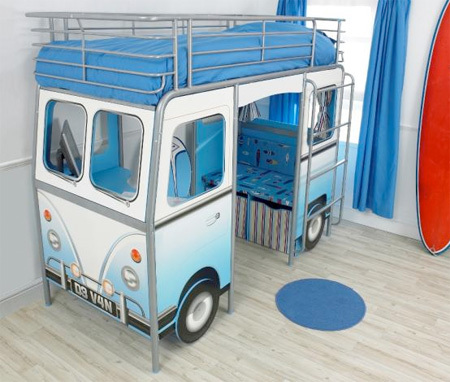 Unique van inspired bed comes with a desk and comfy seating. 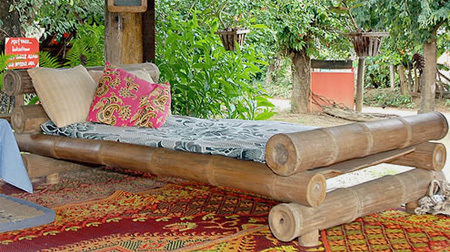 haa….bamboo bed, i’ve slept on that since i was a kid..
very useful for someone with a small room. Wow knitted and tunnel bed are so relaxing! The Knitted Bed is a copy of “BOA” Campana’s Brothers.. I like the knitted bed. Meh. I’d rather have a regular old bed with a cool and unusual woman _in_ it. X/ And the “storage bed”? 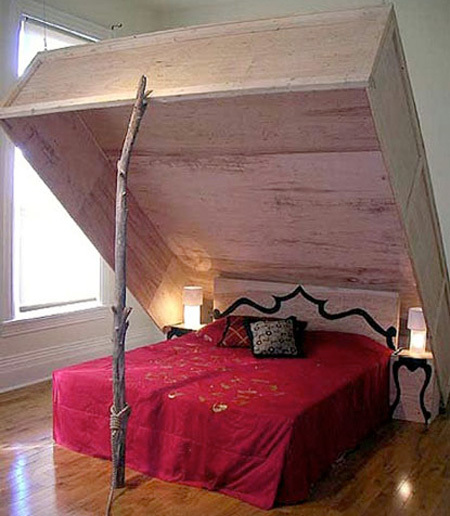 Waterbeds had that option 30 years ago. Damned kids – get off my sheets! 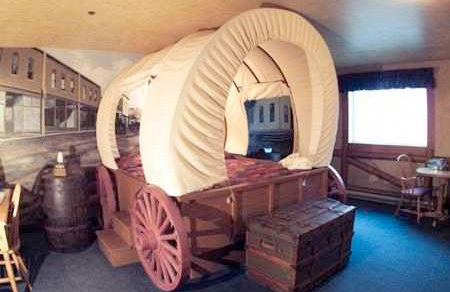 storage bed isn’t a new idea. i was dying to see the always sunny taco bed! Storage bed FTW!Lack of space or not it is a well designed piece.Good enough looking for your average Joe n not only that, USEFUL! 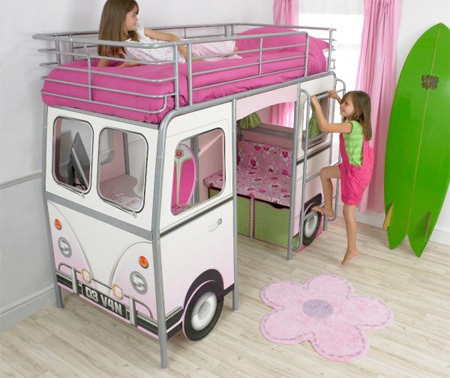 love the elephant and the van beds! 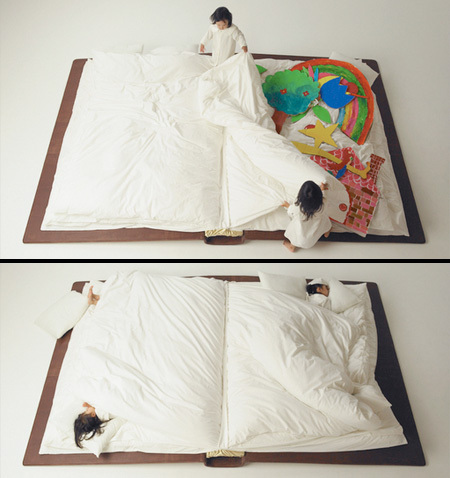 The book bed looks awesome!